You are going to love these Garlic Lime Chicken Kabobs! 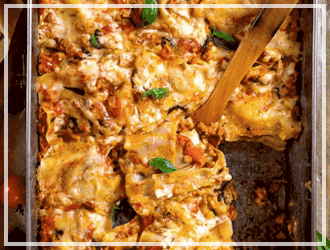 You can make them ahead of time and pull them out of the freezer whenever you need a quick and easy (and delicious) dinner. These kabobs are great for grilling indoors or outdoors, perfect for any time of year! 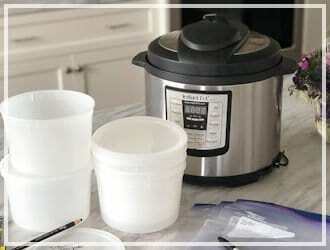 First, you will want to cut up your boneless, skinless chicken breasts into 1 1/2″ pieces. Place the chicken pieces into a ziplock bag and set aside. Next, whisk together the olive oil, lime juice, minced garlic, salt, pepper and Sriracha sauce (you can leave out the hot sauce if it will be too spicy for you, but I love the zing it gives the chicken) in a medium sized bowl. If you’ve never tried Sriracha, you don’t know what you’re missing…it’s delicious! I think they even made a potato chip flavored with the stuff…or maybe I just dreamed that. Pour the mixture into the ziplock bag with the chicken pieces. Try to get as much air out as you can and seal the bag shut. It’s always a good idea to put the bag inside an empty bowl in the fridge, just in case the bag leaks (it might save you from having a big mess later). Let the chicken marinate for 2-8 hours. 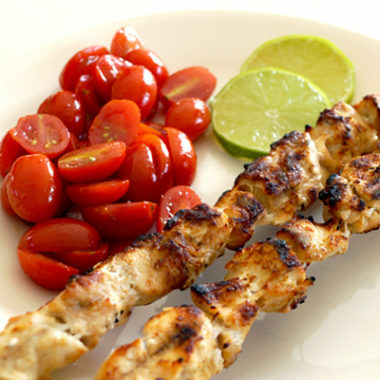 Remove the chicken from the fridge and thread onto skewers (wooden or metal skewers will work just fine). 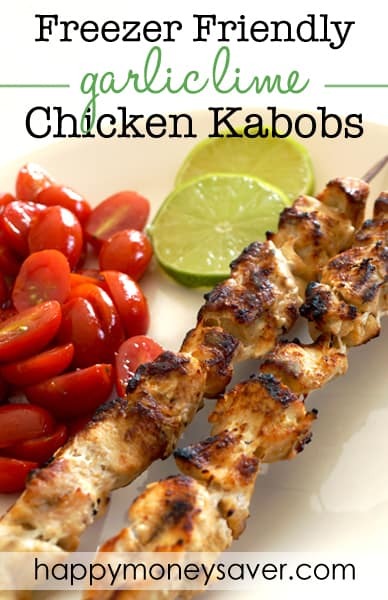 If you are using wooden skewers and you plan on cooking the kabobs right away, it would be a good idea to soak the skewers for about 30 minutes before adding the chicken. 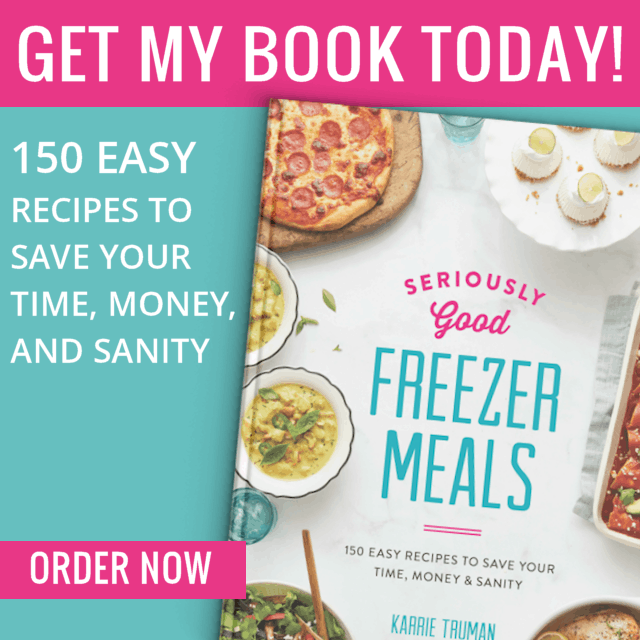 If you are going to freeze this recipe, there is no need to soak the skewers. These Garlic Lime Chicken Kabobs are great for entertaining, so feel free to double or triple the recipe. 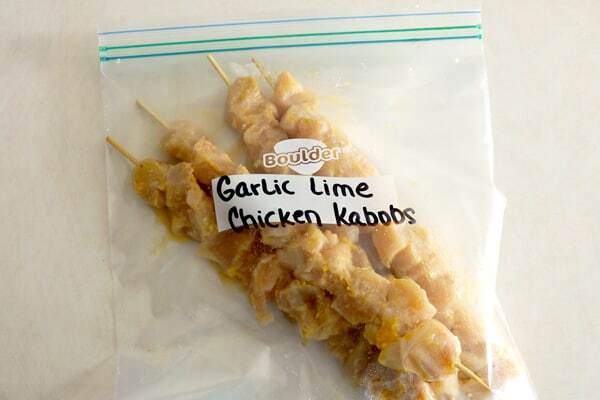 To freeze, place the skewered chicken in a labeled, freezer safe, ziplock bag or freezer safe container. Be careful not to poke a hole in the bag with the sharp end of the skewer. 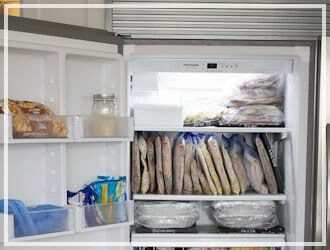 Place the frozen chicken in the refrigerator the night before to thaw. Once thawed, preheat your grill to medium-high heat and cook the kabobs for 10-15 minutes, turning occasionally. Yum! Don’t they look delicious? 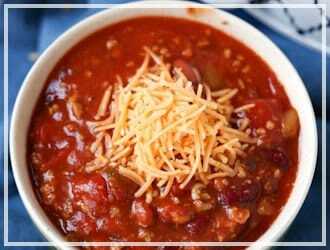 Below is a printable recipe. Enjoy! Garlic Lime Chicken Kabobs are a quick and easy (and delicious) dinner. They are great for grilling indoors or outdoors, perfect for any time of year! 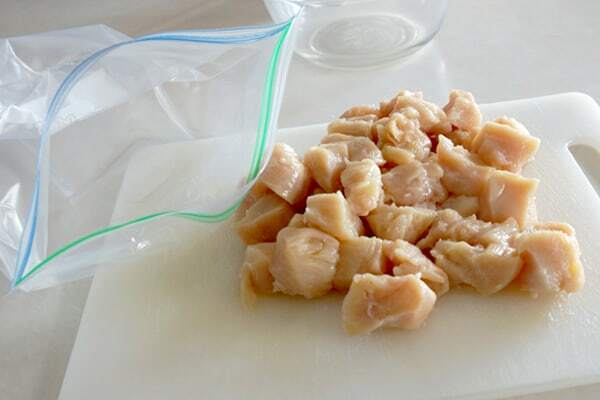 4 pieces boneless skinless, chicken breasts, cut into 1 1/2"
Place the chicken in a zip lock bag and set aside. Combined olive oil, lime juice, garlic, salt, pepper and hot sauce. 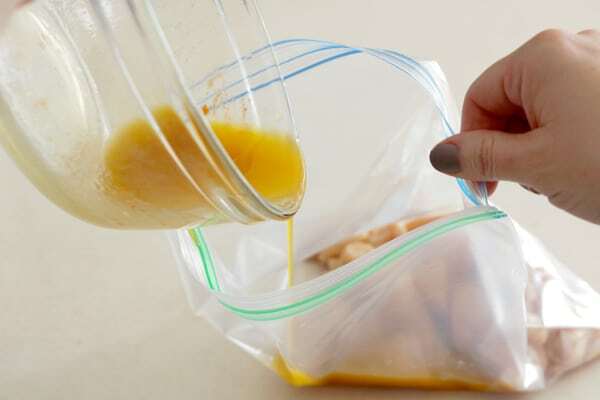 Pour mixture into bag with the chicken and let marinate in the refrigerator for 2-8 hours. 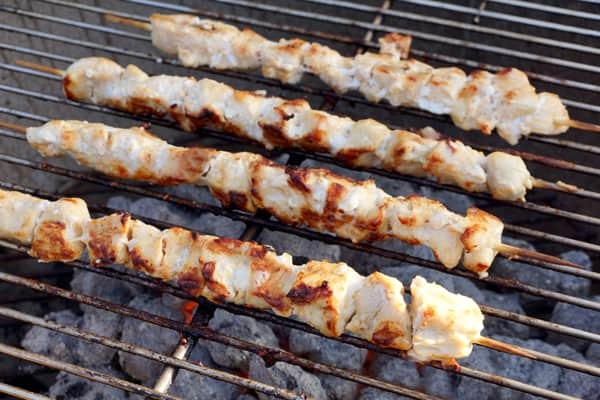 Preheat your grill to medium-high heat and cook the chicken kabobs for 10-15 minutes, turning occasionally. 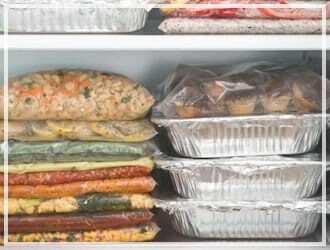 For freezing: Place the raw skewered chicken in a freezer safe zip lock bag or freezer safe container. Thaw overnight before cooking. 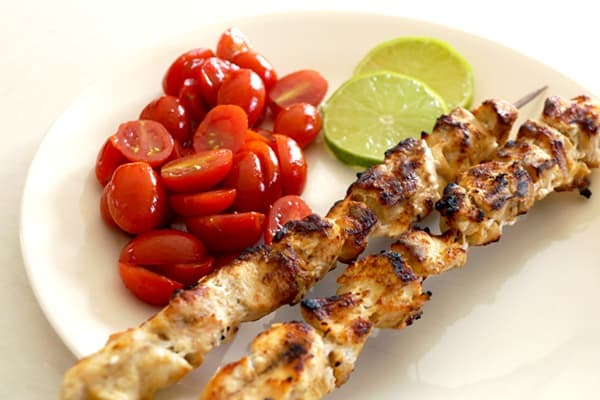 I just made Garlic Lime Chicken Kabobs Recipe and it was awesome ever! 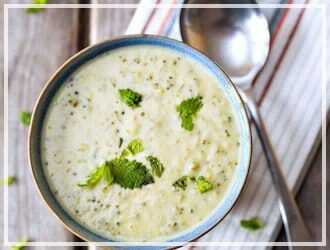 Thanks for the super the recipe. Can’t wait to make more them. Yum! My kids love kabobs! Looks great. I think my children and husband would love this! This looks yummy! 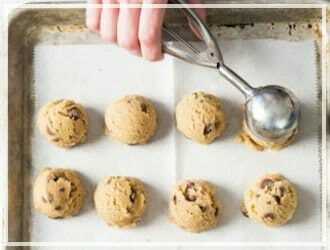 I will definitely try this. These are perfect for summer and allergy friendly! Yay!!! Preparing for a “real food” camping trip and these will be perfect. Thank you. 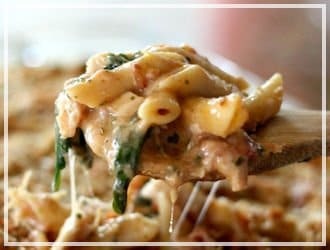 This looks so good and I love how easy it is! Pinning for later! These look so good! I think they will make the June menu.